TechCrunch and Engadget are two well-known techy websites. The TechCrunch web publication provides users with news and all information related to the latest in technology, products and their websites, reviews and more. Similarly Engadget’s website provides podcasts and similar technology related news and information to visitors. TechCrunch having the 1st rank in tech information has several branches like Crunch Notes, TechCrunch France, TalkCrunch etc. with different founders for each. Engadget on the other hand was co-founded by Peter Rojas who was also the co-founder and technology weblog editor for Gizmodo. Engadget was launched in 2004 and now has 9 separate websites operating simultaneously. Both Engadget and TechCrunch are dedicated to covering modern technology and gadgets. 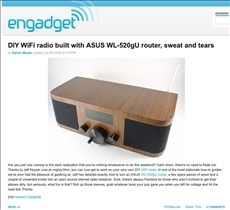 Engadget contains articles on various consumer electronic items, product guides and even the slightest of rumors and public opinions are updated each day multiple times. The World's Most Prolific Professional Blogger recorded by the Guinness World Records, Darren Murph, is an associate editor at this site. TechCrunch presently is affiliated with several other websites. 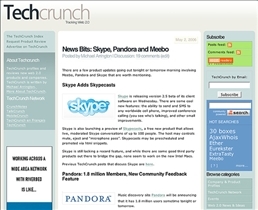 The CrunchNotes is an informal personal blog about web 2.0; Talk Crunch on the other hand is a podcast about web 2.0; TechCrunch IT is a blog featuring all enterprise related news, applications, cloud computing, and various software related news as well. There are various such branches of TechCrunch dealing with various aspects of software and technology. Engadget reported that email was sent to the Apple employees in 2007 regarding a delay in the launch of the iPhone. This resulted in a drop in the share prices by 3%. 20 minutes thereafter, the mail was retracted and Ryan Block had to apologize for his mistake. In February 2010, TechCrunch had a scandal regarding the bribery of one of its interns who had supposedly demanded compensation for his blog posts. Michael Arrington of TechCrunch himself reported that the intern had asked for a start up to the MacBook Air as compensation. This incident was criticized and followed by several rumors. TechCrunch had organized a live event at San Francisco, California. It was from September 8th-10th, 2008 and the event name was TechCrunch50. TechCrunch is also known to run The Europas Awards and a founding host of the Crunchies. On 8th September 2009, it was announced by Josh Topolsky that Engadget would host a show every month in New York City. There have been a total of 14 episodes up to October 23, 2010. Prizes are distributed at the end of every show that has been hosted and Chiptune music is aired with visuals from a variety of different artists. There is a palpable rivalry between TechCrunch and Engadget though both are owned by AOL and people constantly compare the two sites. Engadget is known to be multilingual thus people all over the world can view technology news in their native languages. TechCrunch is available in 3 languages English, French and Japanese. FeedBurner reports that TechCrunch has over 4,563,000 RSS feed subscribers as updated on February 11, 2010. This attests to their widespread popularity. Gizmodo vs. Engadget: What is the difference?